Our recipe this week is for a really simple weekend breakfast or dessert in the form of a frozen fruit pot. We originally stumbled across this recipe tucked inside Jamie Oliver’s Everyday Super Food book when looking for ways to incorporate our new favourite ingredient, Chia seeds, and have tweaked it for our personal tastes and, so here is our banana and raspberry twist. You will need a food processor to make this recipe, which serves two. 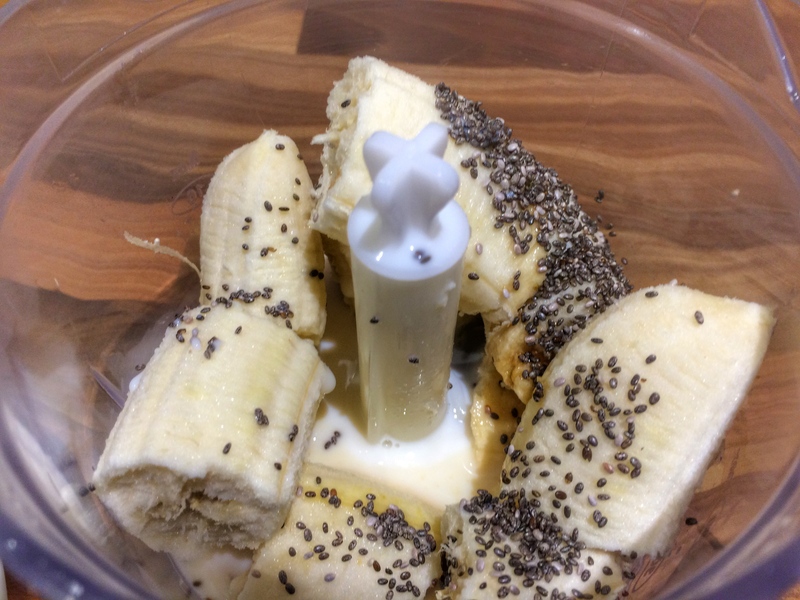 In a food processor, blitz together two of the bananas (or 1 ¼ if they are on the larger size), the chia seeds, vanilla extra, a small spritz of lime and 120ml of the milk. Pour equal amounts into two glasses and set pop in the freezer for 30 minutes. 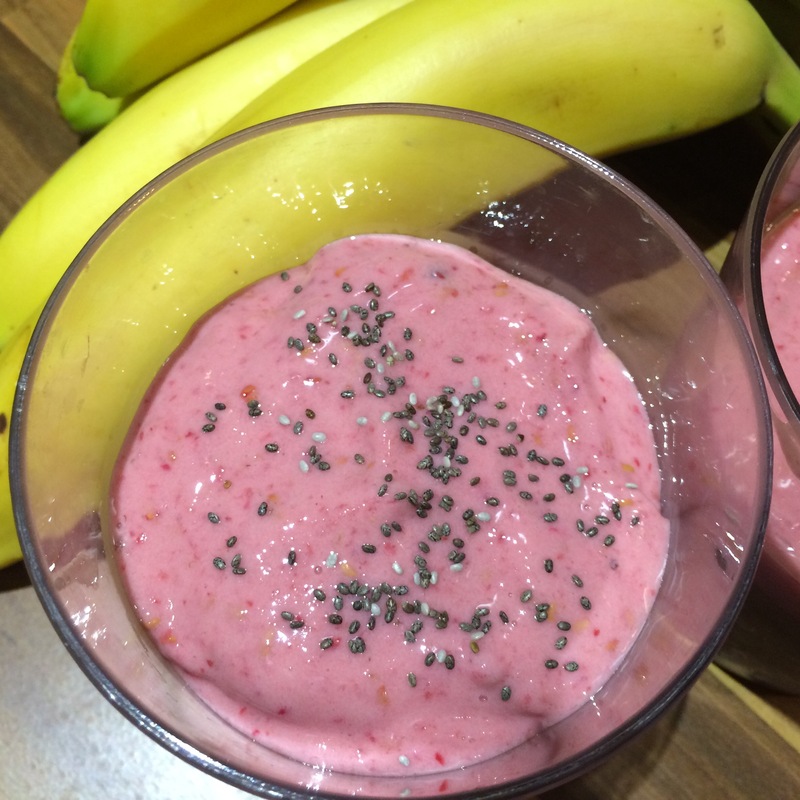 Give the food processor a quick rinse – chia seeds love to stick to things once wet and you don’t want any in the raspberry topping – then blitz together the remaining banana and milk with the frozen raspberries. 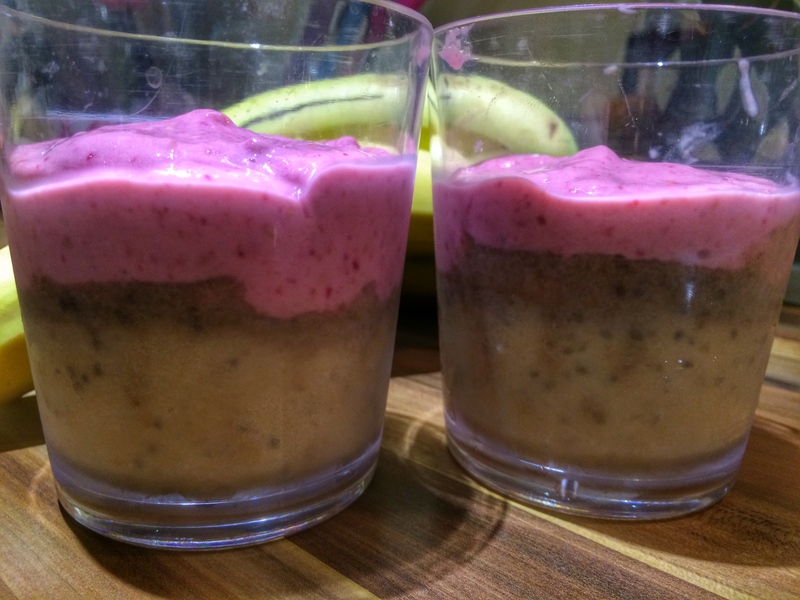 Neatly spoon this mixture over the top of the banana and vanilla layer and adorn with a topping of your preference (fresh raspberries, granola or seeds) before serving.